We have developed a simple and effective hatch that is water tight and flush with the deck. Russell has used similar systems for custom hatches on different kinds of boats. 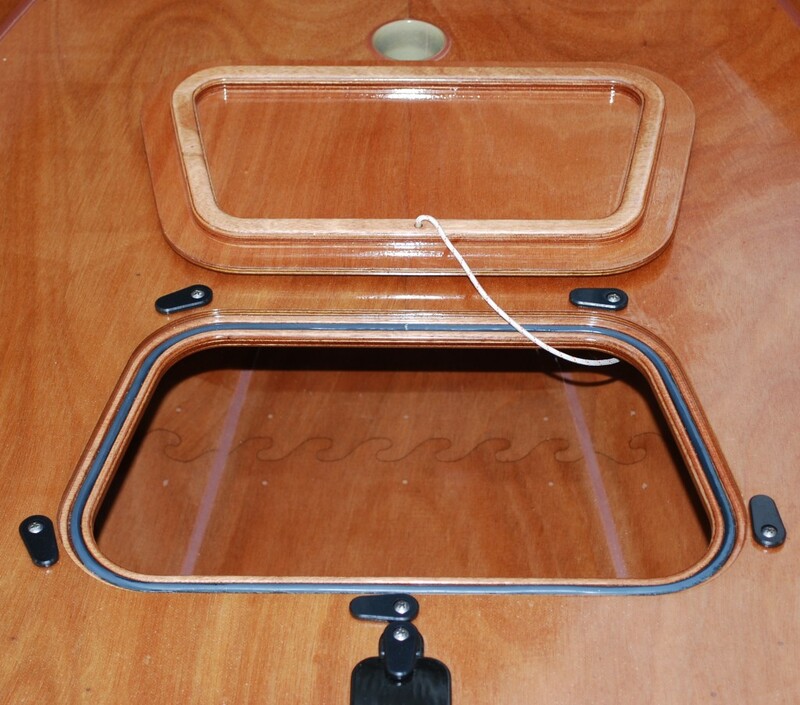 The PT 11 foredeck hatch kit is offered as an option to the PT 11 nesting dinghy kit. Alternatively, one could use commercially produced deck plates or hatches. Some of these are not totally water tight, or are fairly heavy and, they are plastic.. Below, our hatch kit is shown with the foredeck, stringers, and glue cleats. The underside of the foredeck has a scribe mark for the hatch cut out. We often debate making this hatch a part of the base kit with the hatch opening machined already. But we are trying to keep builders' options open. These hatches differ from their plastic counter parts in that they are actually water tight. This is achieved with the combination of a very rigid lid and coaming, the right gasket, and really slick machined Delrin turn-dogs. They are a bit of work to install and finish but the hatch kits come with a very complete photo manual and the result is an easy to use, flush, and good-looking hatch. 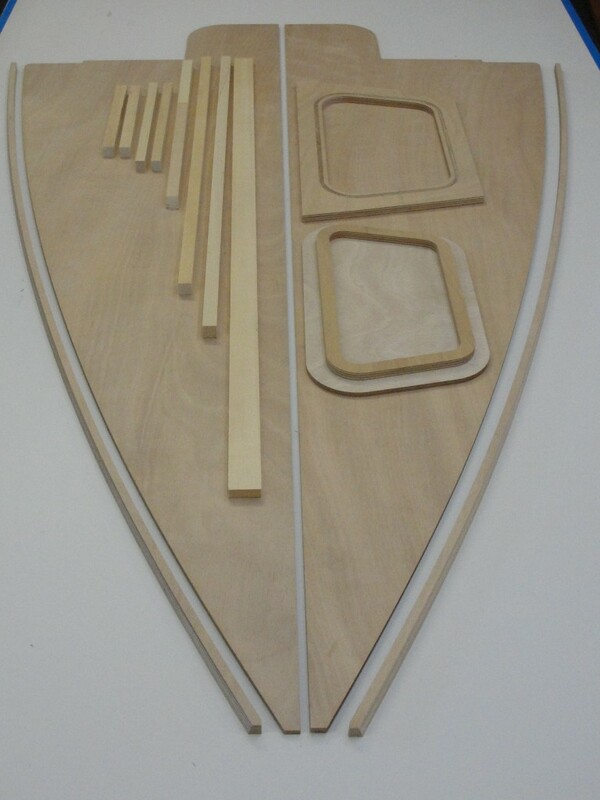 We also have 2 other sizes of Hatch kits designed with the SCAMP in mind. 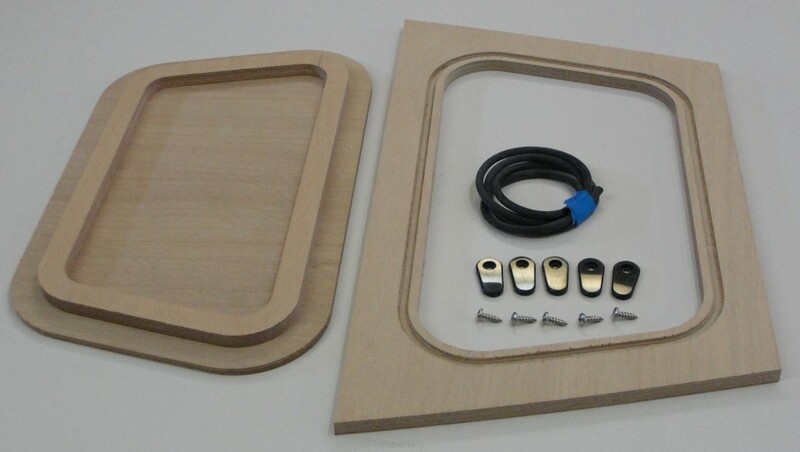 The kits include machined high quality Okoume plywood parts, (coaming, stiffener and lid), gasket, turn-dogs, fasteners, kevlar tether, and manual. PT 11 foredeck parts together with the hatch kit. The hatch kit you would receive includes the hatch lid, lid stiffener, coaming with the groove for the gasket machined out, machined Delrin turn-dogs, fasteners, and gasket. Shown below. "Building the PT Eleven" describes in detail, how to install and finish the hatch. Note the tether. The hatch is flush with the deck when finished. The turn-dogs are 3/16 inch high. Visit ptwatercraft.com for all of our kit information.